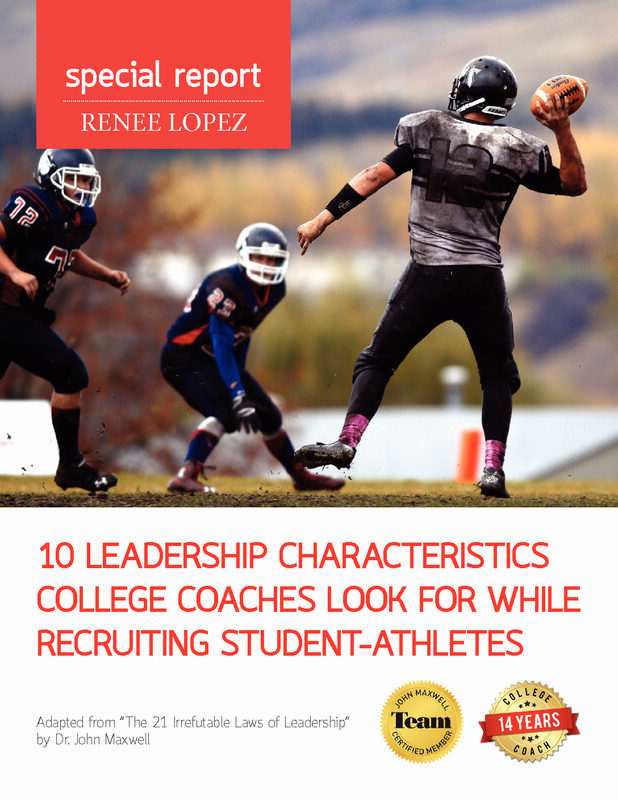 Having been a college coach for 14 years and NCAA Compliance Director, Coach Renee Lopez is in high demand for her consulting services. 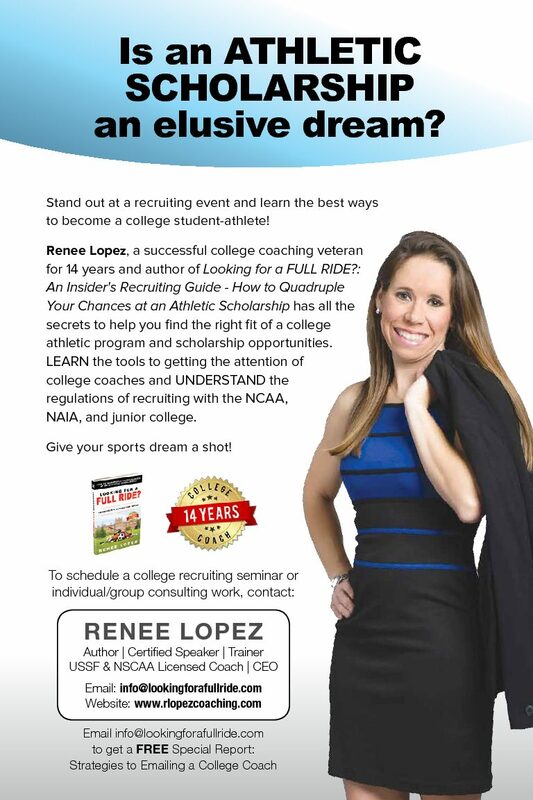 In order to help serve a larger population across the USA, we have developed the College Recruiting Webinars. This program is designed to help high school student-athletes, parents, coaches, school counselors, and administrators to better understand the college recruiting process. It will be delivered online and recommended through Zoom platform. What steps should I be taking as a fresh, soph, junior, and senior? 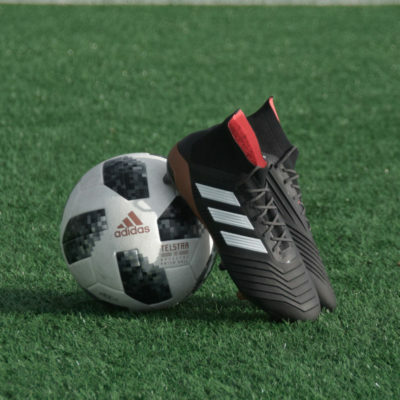 When should I start the process if I want an athletic scholarship? What Does Committing and Signing Really Mean?